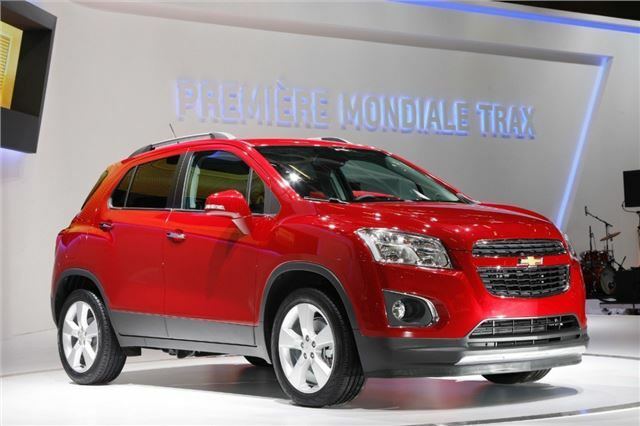 The new Chevrolet Trax range will kick off with a 1.6-litre petrol engine along with a 1.4-litre turbocharged petrol and a 1.7-litre diesel. For those who live in rural areas or have to cope with tough conditions, the all-wheel drive version is offered with the 1.4 turbo, which produces a useful 140PS and the 130PS 1.7-litre diesel. All engines are combined with manual transmissions and are fitted with stop/start to save fuel and reduce emissions – which start at 120g/km for the diesel. Practicality should be reasonable – the boot is 358 litres, which isn’t bad, but there are 60/40 folding rear seats and the front seat can be folded flat to carry long items. Folding the seats increases maximum load space to 1370 litres. Two trim levels will be offered – LS and LT – but even LS models get a decent level of kit, including alloy wheels, air con, parking sensors, automatic headlamps and Bluetooth. Higher specification LT versions get larger wheels, a parking camera, auto-dimming rear view mirror and MyLink infotainment, which aggregates data from your smartphone onto the in-car screen. Exact pricing details are to be announced along with more detailed information on emissions and economy, nearer the on-sale date.